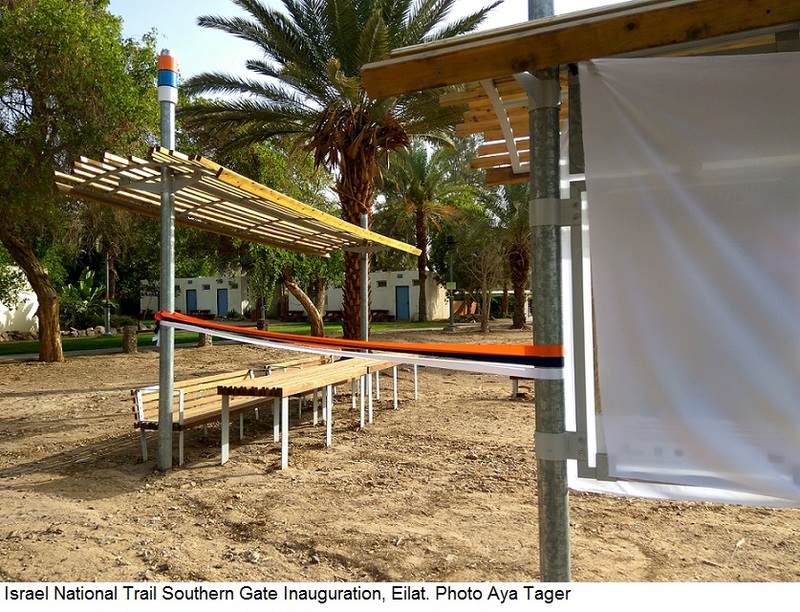 On 27 May the southern gate of the Israel National Trail was inaugurated at SPNI’s Eilat Field School. 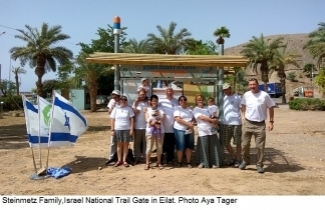 The new gateway, which features a shaded rest stop with benches, a map, trail details, and information about the Eilat area in Hebrew, English and Arabic, was made possible thanks to a generous donation by the Steinmetz family to commemorate their son, Amichai, a hiking enthusiast who went missing in India in 2009. The inauguration was attended by the Steinmetz family, including Amichai's parents, Jack and Debbie, his siblings, Nathaniel, Nava and Orit, and their spouses and children, as well as SPNI CEO Iris Hann and the staff of the Eilat Field School. At the event, Orit explained that before his induction into the IDF, her brother tackled the Israel National Trail alone, completing it in its entirety within a month. “It was a unique and impactful experience for Amichai, so we decided to contribute to the Israel National Trail, to give others the same experience. I am happy that we found a sensitive and sincere partner in the Society for the Protection of Nature in Israel." The inauguration of the southern gate is just the first stage of a much larger project. Another 16 more signs featuring maps, trail details, and location information in Hebrew, Arabic and English will be placed along the Israel National Trail for the benefit of hikers.